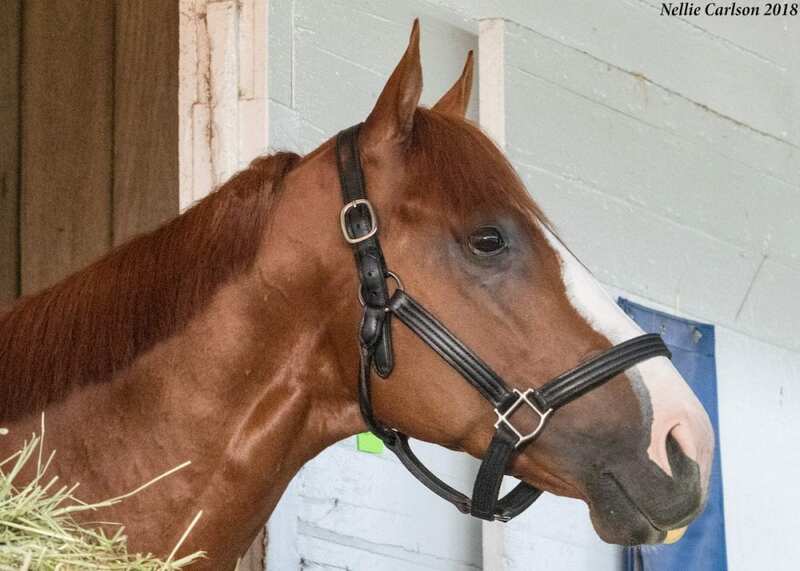 Two days after trainer Bob Baffert told the media Kentucky Derby winner Justify was suffering from scratches, Kentucky Horse Racing commission veterinarians said the colt appeared to be sound once again. Video taken outside Baffert's barn at Churchill Downs Sunday morning appeared to show the colt stepping gingerly with his left hind leg on the gravel walkway outside the shed row. Baffert told the Paulick Report Sunday afternoon the colt's movement was due to “scratches,” a type of skin irritation which Baffert said was present on the skin above Justify's left hind hoof, likely stemming in part from the sloppy track conditions on Saturday. Scollay said she and Dr. Nicholas Smith consulted with Justify's attending veterinarian, Dr. Kevin Dunlavy, who told Smith and Scollay a thorough work-up had revealed a bruised heel in the left hind, which had “responded well” to treatment. “We treated it for scratches because it was irritated and it never developed,” Baffert told Ray Paulick via text message Tuesday. “We also treated him for a bruised heel later in the day. These are the kind of minor issues we deal with daily. People for the Ethical Treatment of Animals (PETA) published a statement Monday demanding stewards examine the horse to determine what was ailing Justify and determine whether the horse was fit to continue training. Scollay said Tuesday the commission's evaluation of Justify was in response to PETA's request. This entry was posted in NL Article, Triple Crown and tagged 2018 kentucky derby, 2018 preakness, Bob Baffert, Dr. Mary Scollay, hoof care, Justify, kentucky horse racing commission, PETA, scratches by Natalie Voss. Bookmark the permalink.